Agent Vossler meets with one of Dubaku’s men. Vossler pulls Henry out of his car trunk. President Taylor makes a statement. She says that they are not backing down. Allison stresses that Juma’s regime will collapse, bringing needed democracy to Sangala. Dubaku pays a visit to Henry, who is gagged and bound. Dubaku tells Vossler that he will be compensated. When Henry is allowed to speak, he swears at Dubaku and blames him for Roger’s death. Allison tells the nation that they all need to remain strong and support the troops. Kanin updates the President on who rescued Matobo: Buchanan, Renee, and Jack. Allison meets with Matobo. Allison says that she is not withdrawing. Matobo is disappointed. Matobo leaves to speak with Sangala officials. President Taylor wants to know what’s going on. Jack fills her in on the mission, saying the FBI has been compromised. Allison can’t believe that Bill didn’t come to her with the information. Renee backs up their story. Jack says that no one can be trusted at the FBI. Allison gets a call from Dubaku. Dubaku admits that he has Henry. Dubaku wants the troops withdrawn and Matobo released to Juma’s men. Allison is outraged. Dubaku threatens to hurt Henry. Dubaku demands that his needs be met or Henry will die. Kanin tells Allison that Sam and Ryan were found dead in Sam’s apartment. The President still refuses to give in. Jack suggests that Henry can still be found. 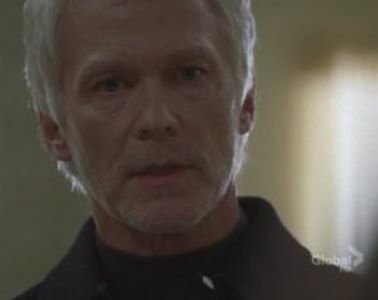 Jack offers to help, but Allison is unsure of Bauer’s loyalty. The President relents and finally agrees to let Jack and his team assist in finding Henry. Jack asks Kanin for info to be brought to him on the matter. Jack tells Renee that he needs to find out information on Ryan Gedge. Renee suggests calling Larry. Jack okays it. Renee calls Moss. Renee tells Larry that he has to pretend he never heard from her. Renee divulges that Henry was kidnapped by Dubaku. Renee says to trust her. Larry wants to meet with Jack and Renee before he’ll help them. Sean and Erica discuss the President’s plans to invade Sangala. Erica wants to talk about their relationship, but Sean brushes her off. Janis brings up to Sean that it is obvious that he and Erica are seeing each other. Larry meets with Renee and Jack. Larry is relieved that Renee is alive. Jack asks for Gedge’s phone records. Larry says that Ryan called Agent Vossler many times. Jack says that they need to get to Vossler. Jack mentions that they have to let Vossler believe that they will harm his family. Larry can’t believe that Renee is willing to go along with this plan. Marika, Dubaku’s girlfriend, calls. Dubaku and her discuss dinner plans. Dubaku says that he can’t make it. Marika gets off the phone. Marika’s sister warns her that she can’t trust Samuel (Dubaku). Dubaku’s girlfriend leaves. Marika’s sister has an envelope in her hands. Allison, Kanin, and Bill discuss ways to find Henry. Jack gets a call from Moss about Henry. Jack tells Moss to keep an eye on Agent Vossler. Moss inquires about Renee. Renee goes to Vossler’s house. Renee shows her gun, which scares Vossler’s wife, Carol. Renee tells the wife to sit down. Renee cuffs Carol to a table. Jack is following Vossler. Moss says that Vossler is on the move. Jack drives into Vossler’s vehicle. Jack punches Vossler and pulls him into a building. Jack asks where Henry is. Jack calls Renee. Vossler talks to his wife. Renee threatens to harm Vossler’s son. Vossler finally agrees to talk. Renee hands the baby to Carol. Vossler is stalling, but finally gives Jack the location. Vossler tries to surprise Jack. They fight while Vossler holds a knife to Jack’s neck. Vossler ends up getting stabbed. Jack tells curious passerby to stay away from the vehicles. Jack takes someone’s car. Bill explains to Matobo how they will be running the mission. Someone will be impersonating Matobo. Jack calls Renee with Henry’s location. Jack tells Renee that Vossler is dead. Renee is upset. Jack says that he’d understand if Renee just walked away. The President wants to know how long the mission will take. Bill says that Jack has an address for Henry. Sean talks to Larry about the CIP device. Larry is not forthcoming. Larry gets a call from Renee. Renee says that Vossler is dead. Larry is furious that Vossler wasn’t brought in alive. However, Larry agrees to stay quiet about the matter. Marika’s sister calls Dubaku, looking for Samuel. The sister reveals that she is onto Dubaku. Marika’s sister demands that Dubaku break up with Marika tonight. Bill calls Jack. Jack says he is on his way to Henry's location. Matobo’s impersonator is brought to a facility for the meeting with Dubaku. The driver tells the President that the men want them to get out of the car. Bill tells them to abort the mission and get out of there, but a rocket launcher hits their vehicle. Jack and Renee get to the location, a store front. Jack and Renee ask the clerk to open the basement door. Jack uses a mirror to see the men guarding Henry. Dubaku calls one of his men. Jack and Renee start shooting at the guards. One of the men gets to Henry. The man shoots Henry. Jack yells for an ambulance.